We will increase your websites, blog, or shops traffic by driving DAILY Traffic from the usa for 30 Days. We don't accept Adult, Affiliates, Direct Download / Opt ins and any HYP, PTC site url or spam url. We do not guarantee any sales, sign ups, opt ins, etc. since we can not control user interaction. 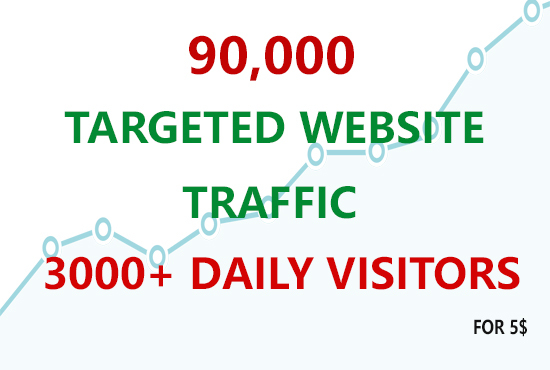 DRIVE 90,000 SUPER TARGETED WEBSITE TRAFFIC, Fast Delivery is ranked 5 out of 5. Based on 26 user reviews.